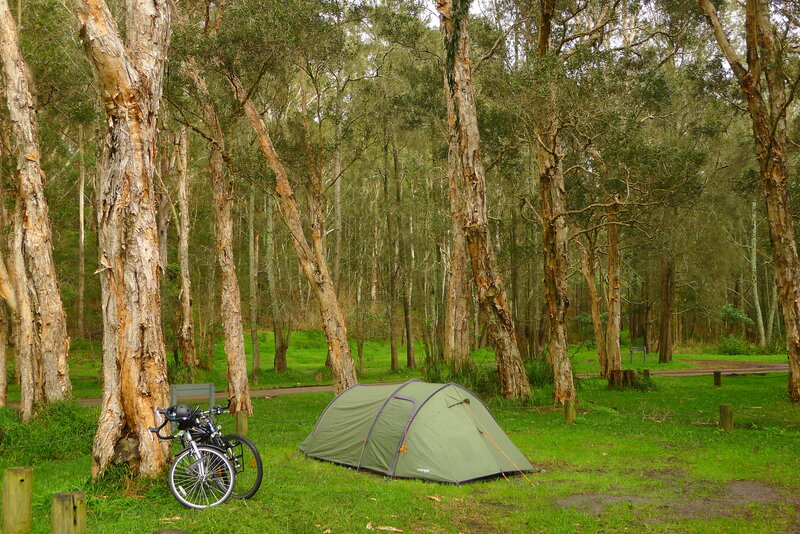 Our tent on a national park campsite on Myall Lake which is a saltwater lake. Note that coffee with water from said lake does not taste good. At all.